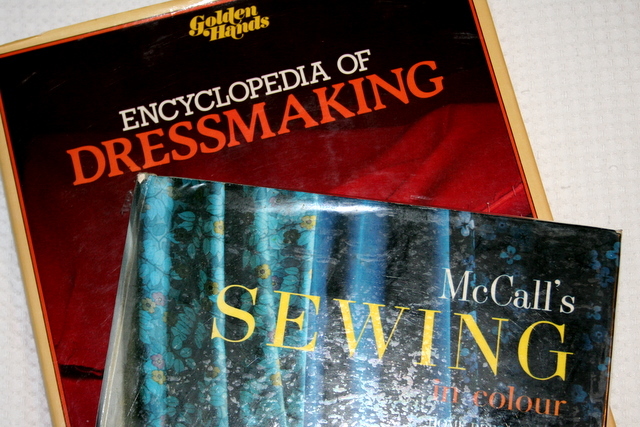 I picked up a couple of great old sewing reference books at an op-shop (thrift store) recently and wanted to share them with you. Under the heading At Home it says "The homemaker often makes the big mistake of thing she does not have to look her best when doing her daily chores. Actually, ill-fitting clothes lower her morale and make her less able to cope with everyday trials. This doesn't mean she has to dress up, but it does mean that she should look neat and trim..." hmmm, kinda rules out my round-the-house weekend outfits! Also, under For Shopping (in a "City Department Store") it warns "Slacks and shorts are taboo". So now you know. 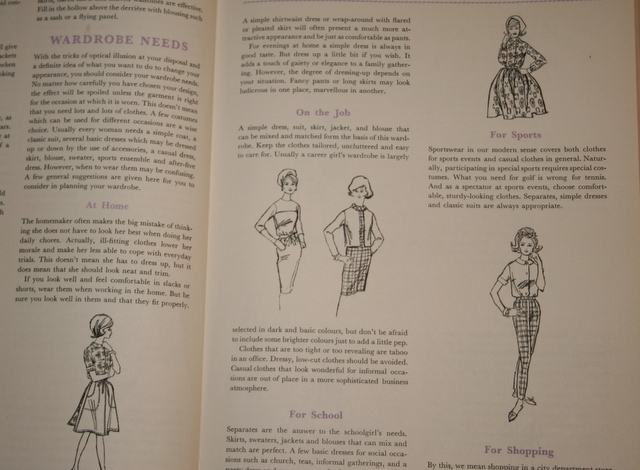 I love old craft books- can't wait to see what you do with them! I've had the McCalls book for around 10 years - it's a fantastic reference book! wow, you wouldn't believe it but I pages through this same book at the library about 6 months ago, and that older woman in the 'dress' sure caught my eye too! I have a Golden Hands book too! Raided my step-grandmothers supplies. 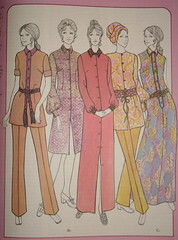 I love it :) Knitting patterns, couture techniques, crochet how to etc. Brilliant reference.